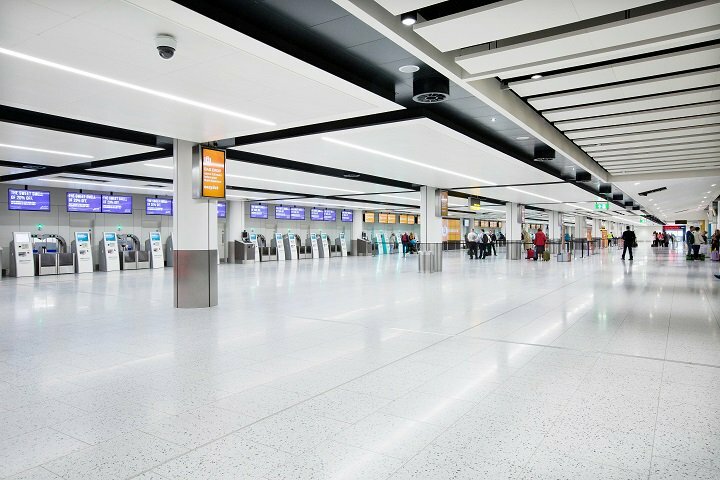 Gatwick Airport won an award at the London Construction Awards event in recognition of its programme of work to develop its North Terminal, which completed last year. The airport received the award for ‘Process Innovation of the Year’ following the reconfiguration of all landside areas of the North Terminal, including Arrivals, Check-in and Security. The event took place last night at the Royal Garden Hotel in London. The airport is half way through a £2.7 billion capital investment programme, which aims to improve the passenger experience at every touchpoint, while also facilitating unprecedented passenger growth. A key part of this transformation, is the re-development of the North Terminal, following an extension to the building, which completed in 2012 and which provided a bigger footprint to work with. The programme of work was a complex undertaking because of the 24-7 nature of the airport operation. All landside areas were reconfigured to improve the airports’ processing capability, and the design included the world’s largest self-service bag drop zone, new e-gate technology on arrivals, and a completely new security area with 10 lanes of screening technology, designed to reduce the time that passengers need to spend on the essential processing part of their journey. “I’m incredibly proud of what we have achieved with this project, and the award recognises the tremendous commitment from everyone involved who worked tirelessly to deliver a truly fantastic facility for our passengers.